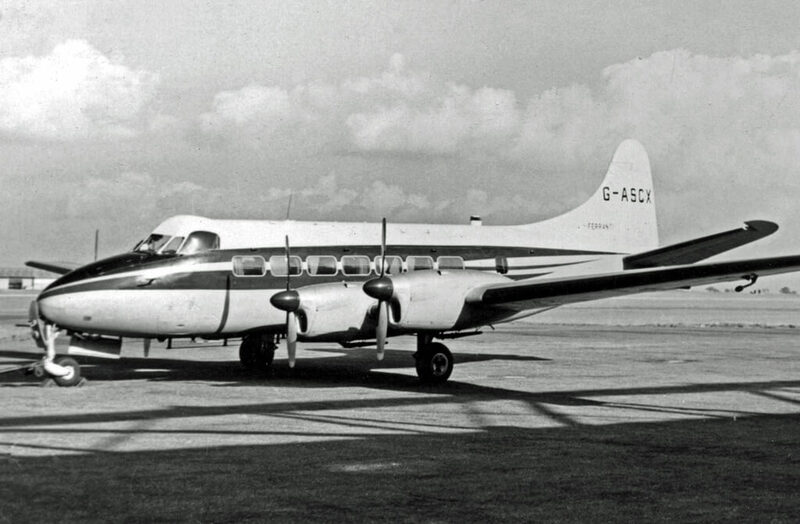 A development of the earlier DH104 Dove with a lengthened fuselage and two more engines was called the DH114 Heron. 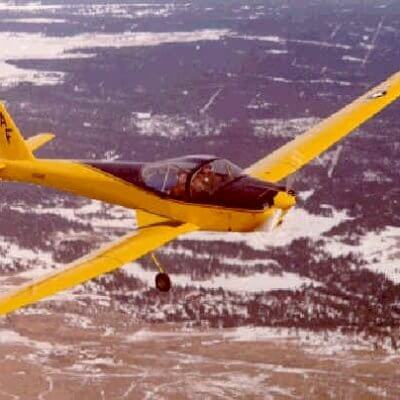 The aircraft was designed for rugged simplicity and had a fixed undercarriage and reliable unsupercharged engines. It first flew in May 1950 and a total of 150 were built, including exporting examples to 30 countries. 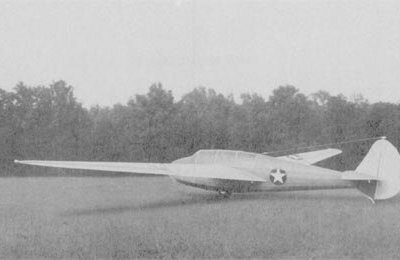 The Mk 2 version introduced retractable undercarriage but the performance remained unspectacular and a number of aircraft were later modified by third party companies with more powerful engines. A more radical transformation with twin turbine powerplants was carried out on a small number of aircraft by one Canadian company. 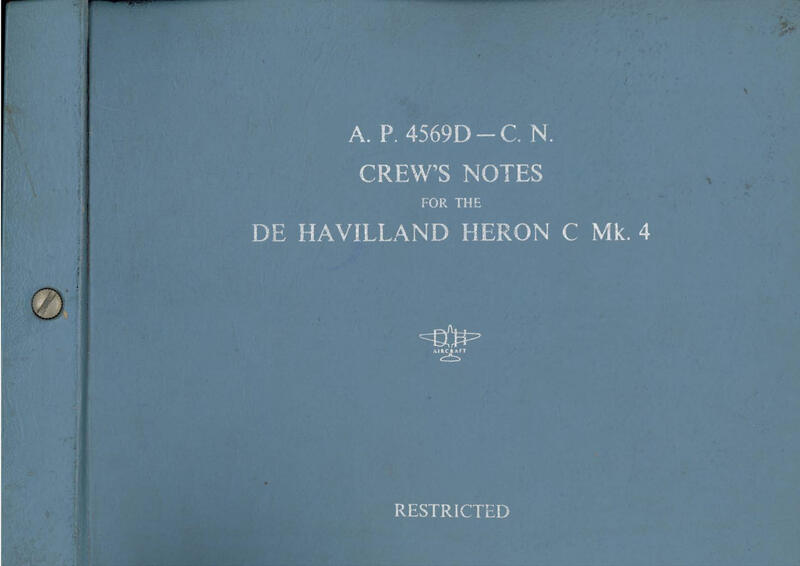 This title contains several pilot’s flight manuals for civil and military variants of the De Havilland Heron. The files have been scanned from the original flight manuals and retain any colour pages. Manufacturers Pilot’s Notes for the De Havilland Heron, publication H.M.R-1-114, dated December 1951, with approx 119 pages. 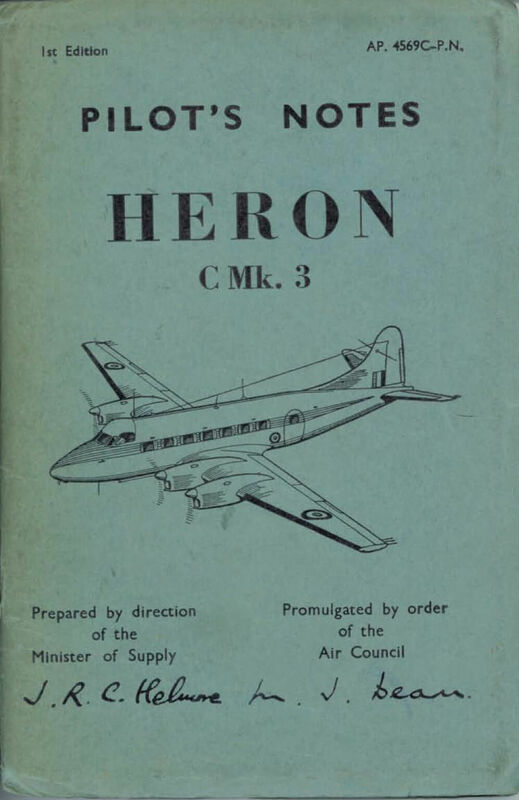 RAF Pilot’s Notes for the Heron C Mk 3, AP 4569C-PN, 1st Edition dated June 1955, with approx 90 pages. RAF Crew’s Notes for the Devon C Mk 4, (a manufacturers publication given an AP number), AP 4569D-PN, dated April 1958, with approx 279 pages. 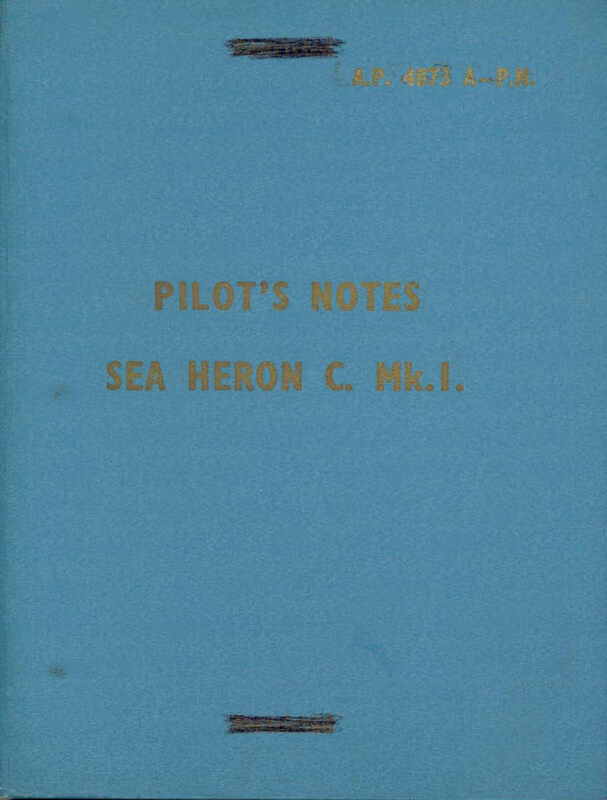 RAF Pilot’s Notes for the Sea Heron C Mk 1, AP 101B-4001-15 (formerly AP 4873A-PN), dated September 1963, with approx 178 pages.